Earth Day, 2008, Environmental Steward recipients for water quality and conservation. (From left to right) Back row: Kevin Wattier, General Manager of the Long Beach Water Department; Tom Leary, Stormwater Management Division Officer; Tammy Metzger, FoLAR Board of Directors; Shelly Backlar, Executive Director of FoLAR; (Mayor Bob Foster in the back). 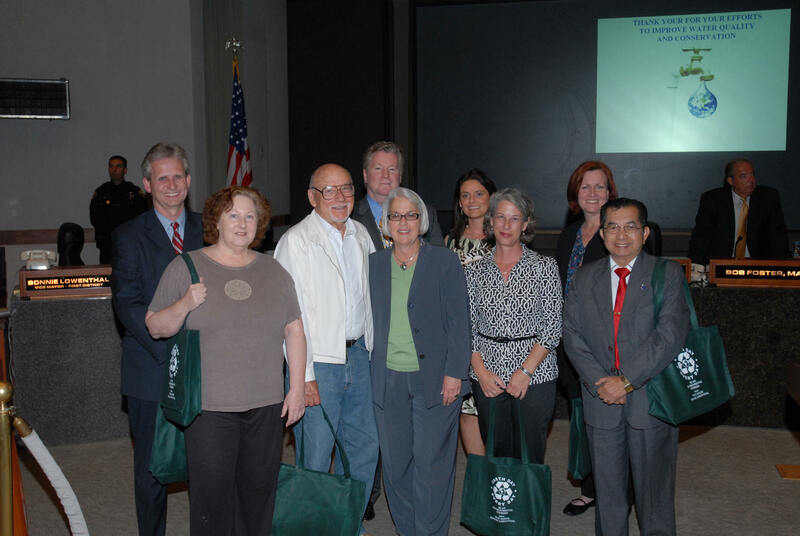 Front row: Nan Gladden, 735 Cedar; Ed Hindricks, Surfrider Foundation; Vice Mayor Bonnie Lowenthal; Gordana Cajar, Surfrider Foundation; Commissioner Paul Blanco, Long Beach Water Department.